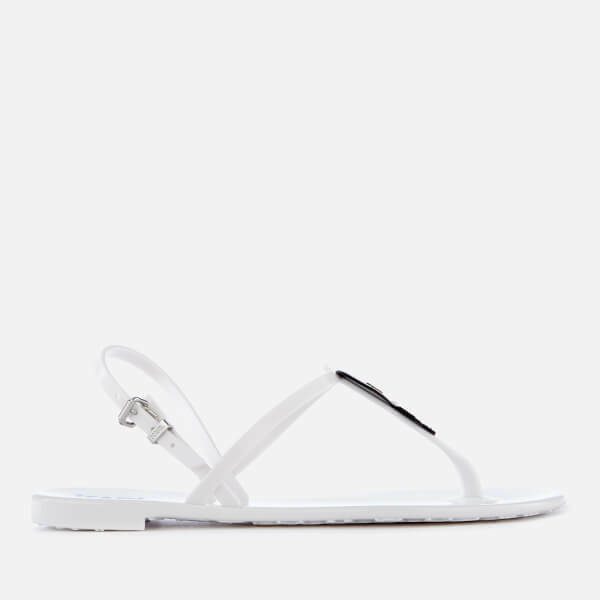 White jelly slingback sandals from Karl Lagerfeld’s Karl Ikonik range. Crafted in Italy from durable and flexible PVC, the slip-on pool sandals are secured to the foot with a vamp and ankle strap fitted with an adjustable pin buckle. 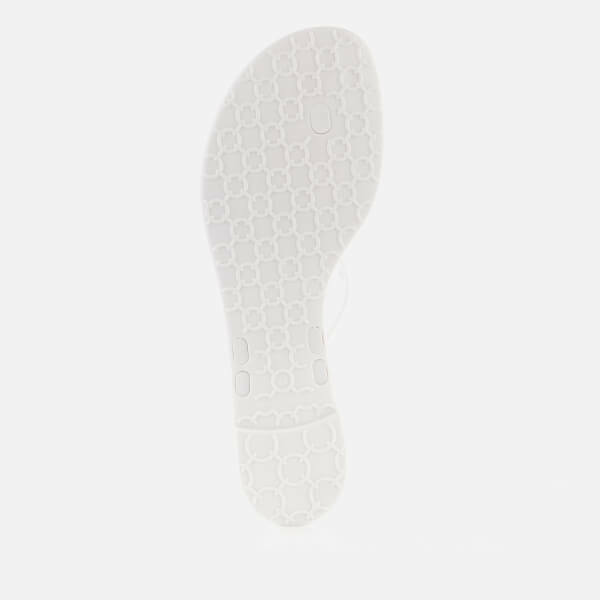 A treaded pattern on the sole offers enhanced grip. Complete with signature rubberised appliqué graphics of Karl and his famous feline Choupette that adorn the toe posts.